These free house building plans will provide you with ideas for constructing that 2 bedroom dream home that you have always wanted. These plans provide conceptual information. Periodic changes in building codes, changes in building materials, snow load variations and the serious impact of deviations from the plans make it imperative that professional services be utilized to tailor these plans for your geographic location. Suggested services include but are not limited to: structural design, assurance of compliance with codes and regulations, supervision of site selection and construction, and provision for utilities, waste management, and access. Build this 16&apos; × 24&apos; 2 bedroom house. This house plan features a carport, gable roof, concrete block construction and a concrete floor. Build this 32&apos; × 40&apos; 2 bedroom house. These house plans feature 1 bathroom, den, kitchen sunroom and porch. Build this energy efficient 35&apos; × 60&apos;, L shaped 2 bedroom house. This house plan features a carport, 2 bathrooms, laundry room and fireplace. Build this energy efficient 33&apos; × 49&apos; 2 bedroom house. These house plans feature a carport, greenhouse and a combination gable roof. Build this low cost 28&apos; × 36&apos; 2 bedroom house. These house plans feature 1 bathroom, hip roof, wood post and beam foundation and stud walls. 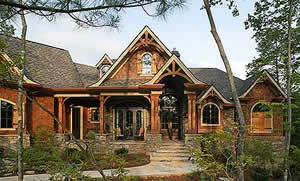 Build this 2 story, arched rafter 17&apos; × 28&apos; 3 bedroom house. This house plan features a deck and wood post foundation. Build this energy efficient 29&apos; × 52&apos;, L shaped 2 bedroom house. This house plan features a carport, 2 bathrooms, asphalt shingles, textured siding and a fireplace. Build this 28&apos; × 72&apos; duplex 2 bedroom house. These house plans feature a carport, firewall between units, sloped ceilings, stud walls and a concrete floor.